Texas universities entered the 2017 session of the Texas Legislature gearing up for fights over tuition and who can use what bathroom. But with the session underway, the schools have instead found themselves fighting for an arcane budgeting trick — one that could affect up to $1 billion worth of appropriations for higher education items such as museums, research projects and new academic programs. The House has signaled plans to keep the trick essentially in place. The Senate’s first crack at the state budget almost doesn’t use it at all. It’s unlikely that $1 billion will be missing when the two chambers reconcile the proposals months from now. But how the issue is settled could impact millions of dollars that usually goes to state universities. Hearings on the budget in the Senate began this week. When university leaders testify, they are planning to urge the senators to keep the tactic. The trick is known as a “special item,” and in higher education it’s a way for lawmakers to insert money for particular university programs into the state budget outside the standard appropriations formulas. In 2015, the Legislature allocated 362 special items worth a combined $1.1 billion. But when the House and Senate filed their first versions of the proposed state budget for 2018-19, there was a huge disparity. The House kept special items for universities at about the same level. The Senate included almost none. Many university officials were surprised by the Senate’s first crack. They say their schools could lose serious money if the Senate budget holds up. That’s especially true for newer, growing schools, which depend heavily on the items. “If those [special items] are not reinstated, we will have real difficulty keeping our doors open,” said Emily Cutrer, president of Texas A&M University – Texarkana. But one key Senate leader says the schools shouldn’t panic. The budget is a work in progress, and months of negotiations between the House and Senate will happen before the final spending plan is produced. Special items are one of the key differences between the two chambers’ plans. Nonetheless, it’s likely that some funds will be added in even before the Senate finishes its version of the budget. But special items are “going to be a much smaller part of the budget going forward,” he said. Special items have been targeted specifically because they fall outside the standard appropriations methods. Most state money for higher education is disbursed through a series of formulas, the biggest of which takes into account the number of students at each school and the subjects that those students are studying. The special items go toward a specific purpose outside those formulas. Those purposes can vary widely. The smallest higher education special item in the current budget is $31,500 to Sul Ross State University to study the Chihuahuan Desert. The biggest item is more than $61 million to fund the new medical school at the University of Texas – Rio Grande Valley. The medical school is an example of an expense that the Senate might support. State leaders across the political spectrum pushed for such a school to bring future doctors to a region that needs them. But UT-RGV wouldn’t have been able to pay for the school under the current funding formulas, which allocate money based on the number of students in the semesters before the budget goes into effect. The special item provided startup money. But a critic might argue that the items can sometimes resemble pork-barrel spending — money that goes to support museums or research projects in a powerful legislator’s district. And the special items often do more than get a program off the ground. Sometimes, they stay on the books for decades. The Legislature has used the items to support a bureau of business research at the University of Texas at Austin since 1926, an art museum at Texas A&M University Corpus Christi since 1996 and a law enforcement management institute at Sam Houston State University since 1993. The oldest special item — the Bureau of Economic Geology at the University of Texas at Austin — dates back to 1909. “Once a special item goes into one budget, it becomes part of the base budget going forward,” Seliger said. In some cases, funding to start a program keeps going to a university well after that program is established. As a result, the program receives formula funding and special item funding. That might need to be fixed, Seliger said. But canceling a special item means sending less money to a university. And seeing so many taken out of the preliminary budget was alarming for administrators, especially new ones that are using them to grow. 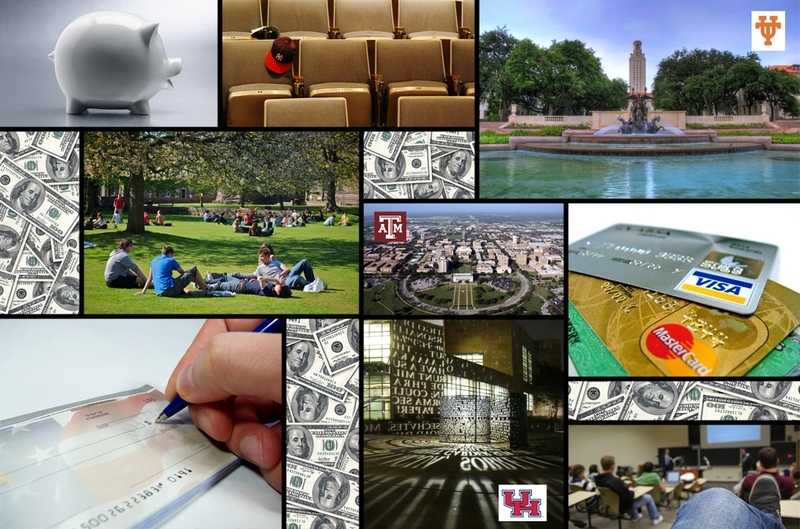 At A&M-Texarkana, special items make up more than 60 percent of the university’s state appropriations — not counting debt service. Many programs might not be able to survive without special item funding. Some don’t necessarily line up with the core mission of the universities that host them or have relied on direct state funding for years. Cutting off that money might mean universities would have to take cash away from another program to keep them alive. For example, the state has provided money for more than three decades to four Texas colleges and universities that operate Small Business Development Centers, which help businesses such as hair salons, food trucks and engineering firms start up and maximize their profits. If they lose their special funding, their universities might not be willing to reallocate their own money to keep them going. But cutting those programs because of the way they are funded would be a bad decision for the state, said Mike Young, director of the development center at the University of Houston. The four centers offer free advising and inexpensive training programs for small companies. The work has created thousands of jobs and millions of dollars’ worth of new taxes, he said. “We want Texas to feel like it gets a great return on its investment on this program,” he said. Disclosure: The University of Texas at Austin, Texas A&M Corpus Christi and the University of Houston have been financial supporters of The Texas Tribune. A complete list of Tribune donors and sponsors can be viewed here.